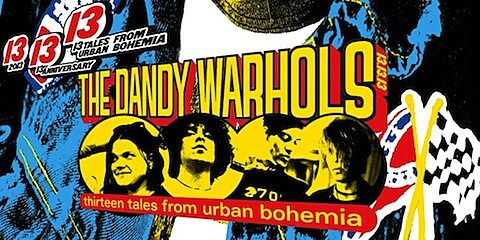 This August will mark the 13th anniversary of Thirteen Tales from Urban Bohemia, the third full-length album from Portland’s The Dandy Warhols. Naturally, they’ll be embarking on a summer North American tour in celebration. That tour includes a performance at the Vic Theatre on June 8. Ticketing information for the Chicago show is forthcoming, but check JAM Productions’ website for updates. Presale tickets for all dates are available now via the band’s website.